The hospitality industry is larger than one might think and sits within the wider service sector. To put the hospitality industry into perspective: while most business niches might be made up of a few different types of businesses, the hospitality industry includes basically any business that has customer satisfaction as one of its core functions. As the global economy booms, this places an increased demand on the hospitality industry. To keep up with that demand and ensure the smooth running of all operations, there is a need for a continuous influx of employees into the industry to fill a wealth of jobs ranging from housekeepers and waiters to CEOs. But because the level of diversity of roles within hospitality is so wide, there is no one specific recruitment strategy to cover hiring of all the employees that are needed to keep the hospitality sector functioning. You’ll need to box clever to hire the best staff, and we have 9 tips to help you improve your hospitality recruiting strategy. • High turnover – this can reach up to 70%, which, in combination with the growth of the hospitality industry, means a constant need for new employees. • Need for customer-facing employees – the vast majority of the roles in the hospitality industry are customer-facing (such as bartenders, servers, receptionists etc.) which is why many employees need to have considerable ‘people skills’. • Seasonality – an increased demand for employees at certain times of the year, for example running resorts or providing entertainment in summer destination establishments. • Part-time jobs – there are a lot of young people working in the hospitality industry (19.6% of the hospitality workforce are under 25 – only 8.2% in other workplaces) and a lot of these people are part-time workers, who are also holding down several other part-time jobs. Hospitality is a diverse industry, offering career opportunities in different branches. All of this boils down to a constant need of companies in the hospitality industry to look for great employees and, as we all know, it’s not that easy: only 22% of young people in the UK say they would consider a career in hospitality. That’s why we bring you our 9 tips to improve your hospitality recruiting strategy and hire the best people. How to improve your hospitality recruitment strategy? Referrals make the best employees (they tend to perform up to 15% better than other types of hires and they have a 25% higher retention rate too). Incentivize staff and create an employee referral program. Through it, encourage your current employees to refer people from their own networks and to share the recruitment campaign via their social media. Then utilize AI to automate employee referrals. Did you know that if just five members of staff shared your job ad with their social media networks, your job ad would have a reach of approximately 2,000+ people? That’s a lot of reach for minimal effort; the power of social sharing should never be underestimated. But remember, the referral goes both ways. By which we mean, ensure your current employees have the best work experience they possibly can, because should they feel negatively about you and mention it online, that’s a lot of people automatically turned off about working for you. 2. Hire at schools and apprentice programs. Rather than wait for applicants to come and find you, go out and find them, for instance, at employment fairs and conferences. Target students who study hospitality management or are enrolled in apprenticeships within the hospitality industry. To do that, you need to have a strong employer brand and be proactive in your recruitment efforts. 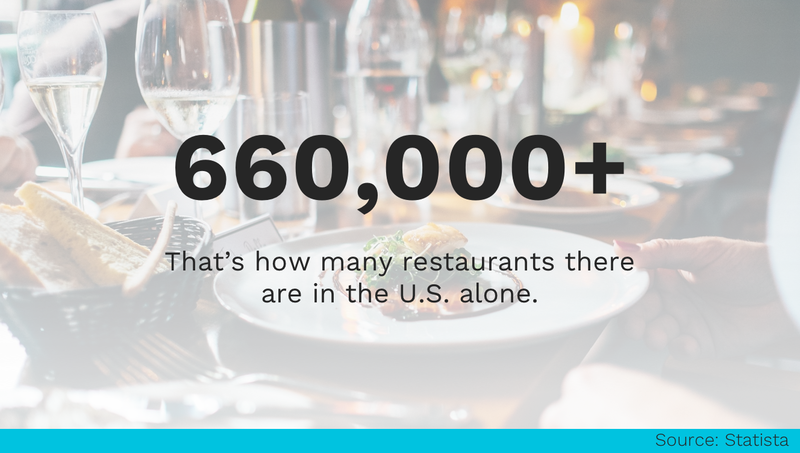 As only less than a quarter of UK students state they would work in the hospitality sector, you could take a leaf out of some very big books, and do as companies like Marriott, Hyatt, Wyndham, and Hilton who are all headquartered in the U.S. do. They habitually recruit their employees from universities such as Cornell University, an Ivy league school considered the world leader in Hotel Management. Students there can study a range of hospitality management courses that will more than adequately prepare them for a career in hospitality. Make sure you show the students or the apprentices how they can develop their career in your hospitality business and why you are the right employer for them. With the sheer number of organizations in the hospitality sector, it is clear that the need for employees is ever-present. Get business cards (for your current employees) that include their name, where they work and the phone number for your HR/recruitment team on one side, and the words HIRING NOW on the other. Encourage staff to actively hand these business cards out to anyone they’re impressed with working in the industry: bar staff, maitre d’s, waiters, chefs, etc. Your staff will feel valued and empowered that they have a say in who they might work with. Plus, if the recruit is doing the job at the time, there is no need to test their skills – they’re clearly nailing it. Who do you think is best placed to determine the capabilities of say a housekeeper, bar staff, or concierge – you the management, or the star employees you already have in those roles? Delegate responsibility to the people who know what the actual job entails to interview prospective employees and assess their abilities (via situational judgement tests or practical assessments). This kind of collaborative hiring will not only lead to better employees but can also help boost the team’s morale and bring its members closer. 5. Implement situational judgement tests/realistic job previews. Follow Gourmet Burger King’s lead and invite candidates in for a hands-on, honest insight into what a typical day in the life of (insert position you’re hiring for) looks like in your company. This will enable you to whittle down candidates from those who are still interested (those who aren’t will typically deselect themselves after seeing what lies in store). You can include a situational judgment test in your recruitment process to see how candidates are on the job. Doing this works both ways: it shows people what awaits them and eliminates negative surprises that can lead to early turnover. Pre-employment assessment software can help with that. You might consider skipping resumes – it doesn’t always matter how many places someone has worked. If they can practically prove they are capable of doing your job, what’s not to like? You could take advantage of tech advances and ask candidates to submit a short introduction video in lieu of a resume to establish how they present themselves (and run it through AI to reveal further characteristics and behavioral insights). If candidates know what they are getting themselves into right from the start, they are less likely to quit early. If you have numerous outlets in multiple locations, consider decentralizing specifics such as social media, advertising, and recruitment and encourage each location to create their own bespoke efforts. Provide guidelines on best practices for recruitment to reduce an inconsistent hiring process. A reason decentralization works is because as this survey suggests, word of mouth is one of the best recruitment strategies you can employ, and it is most effective when conducted at the local level. Plus, management at the grassroots level will be best placed to determine their own specific recruitment needs. This is where giving them guidelines fits in. • If you aren’t sure they can maintain standards, corporate HQ can assist with this by issuing advice on best practices for recruitment and establishing centralized guidelines they can follow with tips and advice to ensure consistency in brand messaging and key deliverables. • Create interview guides to help eliminate hiring mistakes. • Train managers (who are not recruiters but often have to hire people) to recruit better. Run Q&A sessions, online trainings etc. Inc reported that 79% of job seekers looked for new jobs on social media before going down the traditional routes. Utilize social media in your recruitment efforts to appeal to a wider audience than your recruitment campaigns would typically reach. If nothing else, social media is an easy way to showcase why your company is a great place to work by uploading behind the scenes footage or ‘a day in the life of’ videos, or other employee-generated content to your platforms. Take global hotel chain Marriott, for example. They are active on Facebook, Twitter, Instagram, Linkedin, Youtube, and Snapchat, building their employer brand, sharing their employees’ stories, and presenting their career opportunities. Their Facebook page for careers has more than 1.3 million likes. • Look for groups on social media that gather hospitality workers. Facebook and LinkedIn, in particular, have dedicated hospitality recruitment groups. It will give you another opportunity to connect with potential candidates. The key to finding great staff on here is to be an active member yourself. Participate in the discussions and maybe share your awesome recruitment video to encourage members to apply to work for you. • Find local groups relevant to you and share your openings there. • Develop a social media strategy. Or at the very least figure out your audience and create content that is entertaining, attractive or helpful for them to draw their attention to you. Check out the Marriott Careers Instagram account to get inspiration on how you can engage with your potential candidates on social media. Most hospitality businesses, up until recently, only outsourced recruitment for executive level and above roles, but if the success of your business relies on great front of house staff, why would you not invest in recruiting the best there is? • A bigger talent pool meaning you’ll always have candidates in the pipeline. • It’ll save you time every season. • Modern recruitment companies rely on technology and data-driven strategies to ensure you receive better employees. • It should increase staff retention. 9. Benefit from gig economy. If you understand the changing ways in which people are preferring to work, the key principles of which are accessibility, proximity, and affordability for maximum employment satisfaction – you’ll understand why the gig economy is becoming increasingly popular. • A flexible work schedule (employees can opt in to shifts that suit their family requirements or hours they have available to work). • Remote working (when possible). • Or simply ditch contractual employment agreements and use on-demand employment solutions such as Jobble (amongst others) to fill in the gaps in your labor. It works equally well for emergency cover and long-term solutions. Using these apps also relieves you of the need to ‘employ’ these workers as they will be employed and paid through the third party companies who provide them to you. The hospitality industry is not going to slow down any time soon, and the demand placed on you to provide a top-notch service is only going to increase as more and more people need hospitality services. 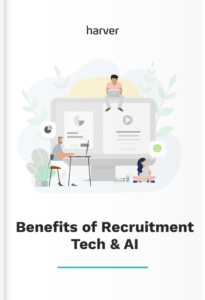 Therefore the need to improve your hospitality recruiting strategy is an obvious one, but it doesn’t need to be tough: there is a brand new world out there, one made up of advancing technology and AI designed to aid recruitment, so take advantage of it.